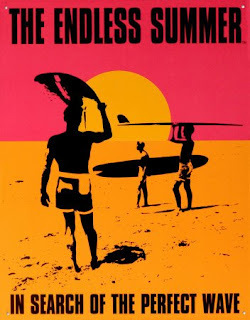 It's the second day of summer and I've finished collecting and scrubbing [correcting] full value residential sales the District recorded in April 2007; the data have been uploaded to DCHomePrices.com and DCCondoPrices.com. As I mentioned earlier, I had to delete the $9MM home (917 M St NW). I also changed the $7.5MM condo to $759,000 and the $3.07MM condo to $370,000; I didn't make the changes on a whim, those are the prices the Recorder of Deeds shows involved in the transactions. In April 2007, 766 residential sales were recorded by the District. Once again the majority of sales, 54.44%, were condos; the market's preference for condos continues. However, given their lower average prices as compared to houses, the condo dollar volume was 47.71% of the total dollar volume of $402.5MM. 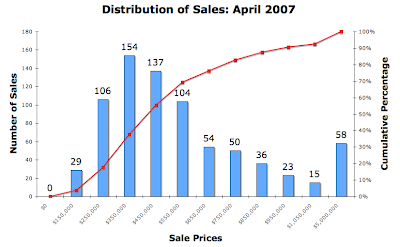 The chart below shows the distribution of sales by sales price; 83% of recorded sales were $750,000 and lower. Compared to April 2006, aggregate average and median prices were up 5.55% and 2.44% respectively. Aggregate unit and dollar volume jumped 16.41% and 22.88%, respectively. 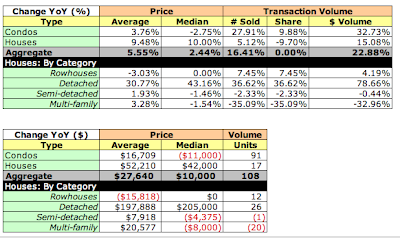 Average and median prices for condos fall 3.6% and 5.5% YoY. 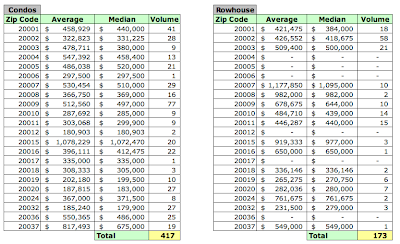 In the aggregate, average prices grow only 4.78% while median prices are flat, +0.12%. Unit sales for condos drop 7%. Aggregate unit sales dip .91%. Aggregate dollar volume grows slightly less than 4%. It drops 10.4% for condos instead of the 32.73% increase when new condos are included. Essentially, the market is less robust once new condo sales are excluded from the analysis. Detached homes were the market's star and driver in April. All metrics - average/median price, unit sales, and dollar volume - soared, up at least 30% in each, most spectacularly up a whopping 78% in dollar volume. The negative to slightly positive metrics for the other housing types, however, resulted in a less stellar, but still strong, market for single family homes. In the aggregate, average and median prices were up about 10% on a 5% increase in unit sales. It'll be interesting to see what happens should sales for detached homes go cold. 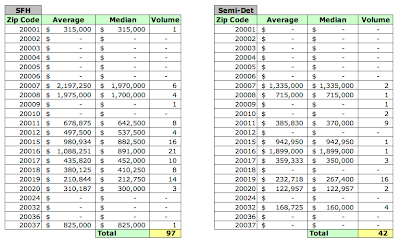 April 2007 average and median sales prices and unit volume by zip code. 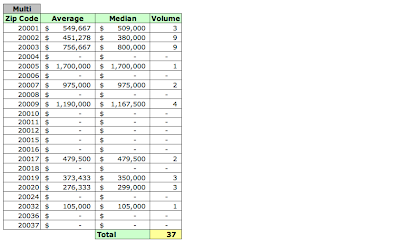 This analysis is of sales recorded by the District in April as opposed to sales settled in the month, which is what MRIS reports, so there will be some discrepancies because of timing issues. However, I believe the data do provide an indicator of trends in the District that could be useful. 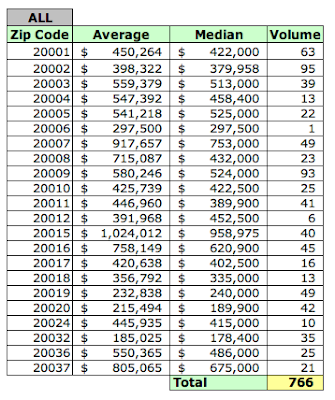 I classify multi-family homes as single family homes because I've found that homes that once were multi-family which have been converted to single family use have not been reclassified as such by the District. I may be painting too broad a brush here, but I can live with it.